Hello everyone, Hows your day? Hope everything is good and right hehehehe, by the way this will be just a short post about my Long time favorite whitening soap, It is no other than my Silka papaya whitening soap. is it okay after long use? Let us say 3 years or more than that? Hey.. let me share my experience to you. I have problems regarding my pimples on my face. My friend recommend Silka and she's a Silka user din since High School pah siya. I hesitated coz baka hindi effective sakin and super sensitive yung skin ko esp sah face, but then she said nah sensitive siya so I tried after we have our convo and first I bought the smallest na 11php and noong Jan.14, 2014 ko ginamit. believe it or not after 2 days of using GRABEH KITANG KITA KO TALAGA YUNG RESULT..nawala talaga yung pimples sah cheeks ko, sa noo meron parin pero kotni nalng and the best part..gumlow yung skin ko. Yung mga kaklase ko nga sabi nila nah pumuti ako..so pagka Jan.16, 2014 ginamit ko nah din sah katawan ko..kasi effective sah mukha ko eh. I hope this helps you guys!! Walang mga utak mga bobo! hello, sorry for the very delayed reply as what my previous post said, My laptop is broken I just borrow my brother's laptop for now. I can answers all your questions when my new hard drive has arrive from shipments btw my email address is marycrismalabanan@rocketmail.com I hope you could wait for my answers. Thankyou very much for reading my blog. Ano po ba dapat gawin para makita ang best result without lotion ? Hi cris,i have watchd ur review.its so nice nd useful to us...is there any problm wil occure after a long days?bcz i heard that some products wil produc side effects only aftr its gud results.is this produc als ly ds? Hi . Ate i've been using silka papaya yesterday. ang bango bango nya sana nmn effective sken! Prehas tau hndi nmn ako mhlg tlaga sa products na pang paputi naitry ko lng . para nmn mgng gloomy ung skin ko . 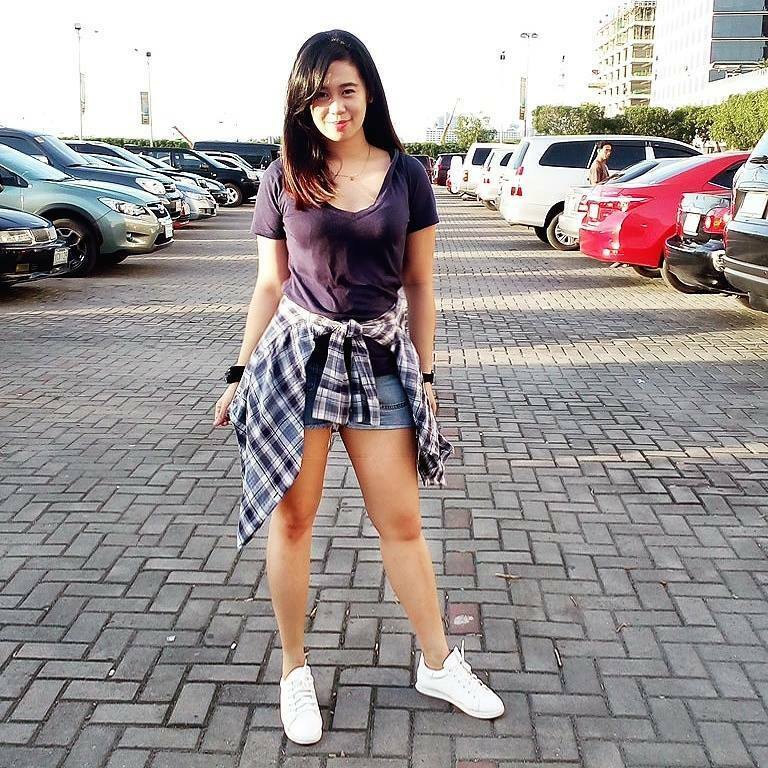 Actually hndi nmn ako maitim nor hndi dn maputi . But. ccontinue ko pg gmt sna effectve. triny ko muna ung maliit to be sure! Thanks for sharing. The reason for our skin color is primarily through genetics, lifestyle and health. Practicing a healthy diet leads your skin to detox, to feel a new fresh air! Eat a diet consisting of fruits, vegetables and Meats, leans meats like fishes. Drink Tea a cup of freshly boiled tea help your skin to halt aging! it also cleanse over all of your body :) engage yourself in a happy environment, clean environment and love your sport, do a yoga, or go to a gym! Quit alcohol if not drink moderately not too much. Quit smoking if not limit it little by little and think about your self. actually sa soap mabango talaga cya. pero sa lotion although mabango not sure kung effective, mejo malagkit cya pag inapply . not suitable for summer season yung lotion. have you tried the green one? Ha? Wala pang 1minute napatunayan mo na agad? Hi, have been using silka papaya lotion for like 3weeks without d soap but it darkend me..why? Must I use it with the soap for a better result? Hi, is it okay to use it on face? is it really to prevent acne and pimples on face? hello,as i read the different comments;i find them very interesting! 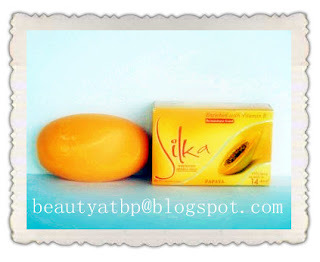 just yesterday i bought from asian shop Silka whitening soap (orange),and im 'curious/interested' to try it. Usually im using Belo Moisturizing Soap (blue package),but when i saw the Silka i felt like trying. I hope it'll give me a positive result. Thanks! Sabi nila nakakanipis ng skin yung mga whitening soaps, ang silka din ba? I mean madali rin ba kayong masugatan? hi,it's me again! i almost finished my second silka soap(green) the 1st one i used was the orange one...and i noticed that my skin became fairer than before,well,im also using some other whitening products such as lotions. but deep inside,i feel that silka is effective as well! it is advisible tp use sunscreen lotion when we go out,specially if we're using whitening products,because our skins become more sensitive specially if the whitening products contains AHA. Thanks. Nagtry ako ng silka at within 1 week totoong pumuputi ang skin ko, ang pinakamahalagang part pa ay kuminis ang balat ko. Nawala si tigyawat. Yung palmolive papaya maganda sana kaso pagmahangin nakakadry unlike sa silka talagang kutis pangmayaman, kutis artista. Is itvbetter than likas papaya? Please will it be good to use in Nigeria here or has Anybody used it in Nigeria here? Yung darspot ba tas parang scar sa muka ay matatanggal pag gumamit ng silka papaya (green)?? hi everyone....share q lng din.,d search is over!..bilib tlga ako s silka,3months user n ako s silka products,and i swear effctv tlga. May change skin effect po ba ang silka soap? nakakatanggal po ba ang silka papaya ng pimples?? Nakakatangal talaga ang Silka ng acne at pimples, mga 2 to 3 days nawala yung pimple ko sa noo nagdry kaagad pagkasunod na araw flat na, na parang walang nanyari.. 3 years na rin ako gumagamit nito. tested and proven...PERO hindi din sa lahat ng tao effective kasi gumamit ate ko...lumala yung pimples niya..depende cguro sa tao sa lifestyle niya. Oo. Pwede panlalaki. May kilala akong lalaking gumagamit din ng silka hindi sya nakakapimple. nakaka tangal din ba toh ng dark spot? Ano po mas effective? Silka or Kojie-san? I already used it with eskinol(Classic white with dalacin C or clindamycin) and very effective for pimples and dark spots caused by the pimples. I recommend you to use silka papaya(orange) with eskinol. As far as I used, my face getting more kinis and less pimples. like seriously Sika soap is so nice. Am using it and i feel so natural and good . ano po gamit nyong lotion? purely silka soap lanv po ba gamit nyo? or ur also taking vitamin c and e? Been using silka papaya soap (orange) for a month and the result is amazing. Seriously, nawala dark spots ko and somehow pumuti naman ako. Thumbs up for this! Just bought the silks lotion I pray it works on me.will get the soap to get effective result.Thank you all. For people outside the philippines that are interested with this soap. It is available in filipino/asian stores, amazon and ebay. Pls reply po! Thanks in advance! I've been using Silka for 1 month. Hindi naman ako nagexpect ng BONGGANG RESULTA NA ONE WEEK PALANG MAPUTI NA AGAD AKO dahil mura lang naman yung soap. Tnry ko lang naman ang silka dahil sabi sa mga nababasa kong reviews mild lang siya at pwede sa mga sensitive skin katulad saaakin. nakakadalawang sabon na ako, at now ko lang napansin na lumabo na pala yung nga insect bite scars ko sa binti. Hindi ko man nakita na pumuti ako dahil mukhang matatagalan pa yon dahil morena ako, sobrang nakatulong naman ang silka SA MGA PEKLAT KO SA BINTI! isa pa na nagustuhan ko sa product is, mabango siya. tama si ate cris. meron siyang feeling na kahitr matagal mo na siyang ginagamit, maeexcite ka pa ring gamitin na parang first time mo ulit ganun. 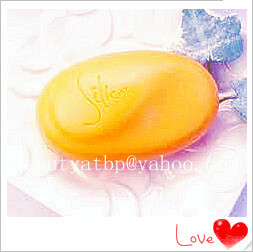 I've been using silka soap (orange) way back 2010 and it is really effective until during my college days. But as the years pass by, I think the ingredients or formulas have changed because it does not work for me anymore this days or maybe because I am working now and exposed to polluted surroundings. So, I tried using the green one now and I feel also an improvement on my skin because my pimples are not that stubborn now. I hope that this will help me return my smooth and clear skin just like before. Review: CY Gabriel Papaya Soap. Review about UK derm pharma Papaya Herbal soap with dual whitening efffect.